Did you know that you can use text marketing to organize customer data and preferences? And you can use this data to douple, even triple sales? Ok, let’s back up. Most business owners don’t know how important market research really is. Knowing your customers and their purchasing preferences is crucial to success. If you don’t know who you’re selling to, why bother selling at all? You want to make sure every single one of your customers is truly qualified. For example, if you own a burger shop, and a vegetarian walks in, should you shove your best burger pitch down his/her throat? Absolutely not. Not to say you shouldn’t provide great customer service, or strike up a conversation, but trying to sell a big juicy burger would be a complete waste of your time. On top of that, if you push hard enough, you are bound to greatly offend that vegetarian. Now how does this relate to text marketing? Simple. If you’re sending promotions out to unqualified subscribers, you’re doing nothing but damage. But, if you understand how important market research is, you know that segmenting your list based on buying behavior and personal preferences would be highly beneficial to you and your bottom line. 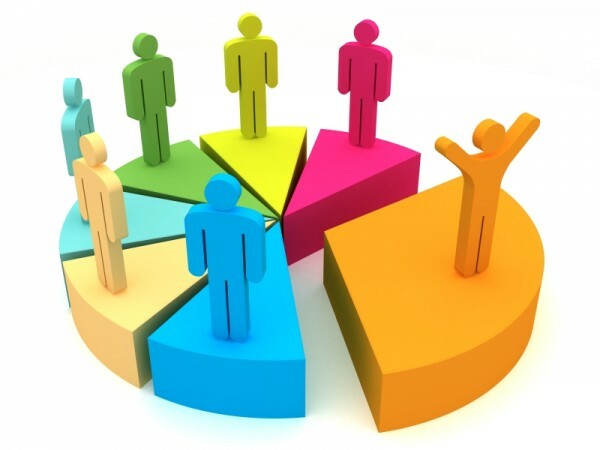 At Slicktext.com, we offer contact list segmentation, which allows you to segment your text marketing list with subgroups. Here are some great identifiers you can use to label these subgroups. There are several different ways you can segment based on location, these are our top three picks. This will help you know how long they’ve been a loyal subscriber, and you can then reward accordingly. This is a bit more advanced, but if you’re interested in segmenting your contact list by extremely specific identifiers, this is a great way to do it. Take time and care when setting up these campaigns, because one wrong move will throw off the entire process. For example, let’s say you’re deciding between two promotions, and can’t figure out which one will receive a better response. Why not run both? The first one may read “Text BOGO to 31996 to redeem a buy one pair of shoes, get one free promo code“. The second promo could read, “Text DBLECASH to 31996 for a $50 voucher for every $100 spent“. If you use email marketing, you can draft up two separate emails for these promotions, and send one message to each half of your list. Now, sit back and wait. See which promotion receives a better response by how many new subscribers are added to each textword. If you manually select recipients within your main textword list, you can also use this segmentation method for current subscribers. This is just the beginning of text marketing list segmentation. Get started with top text marketing provider, Slicktext.com today to show us what you can do. Give us a call at 1.800.688.6290.